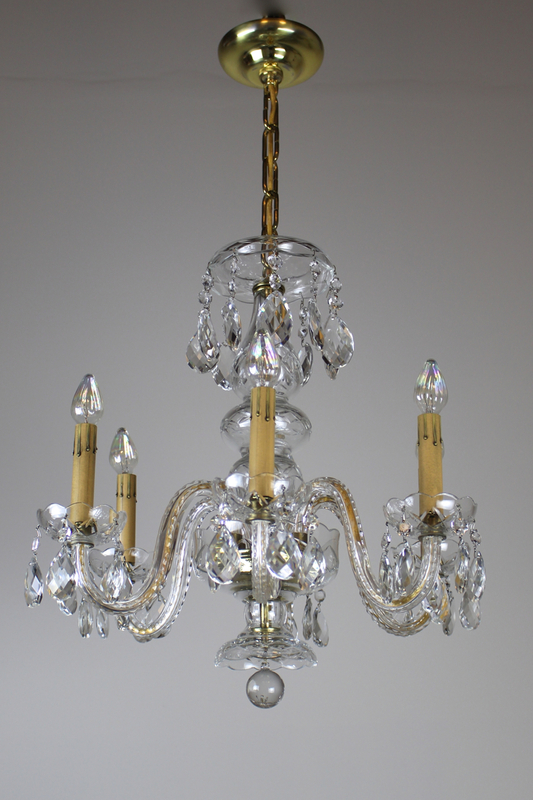 A lovely Italian made cut-crystal chandelier on the petite side, circa 1950s. 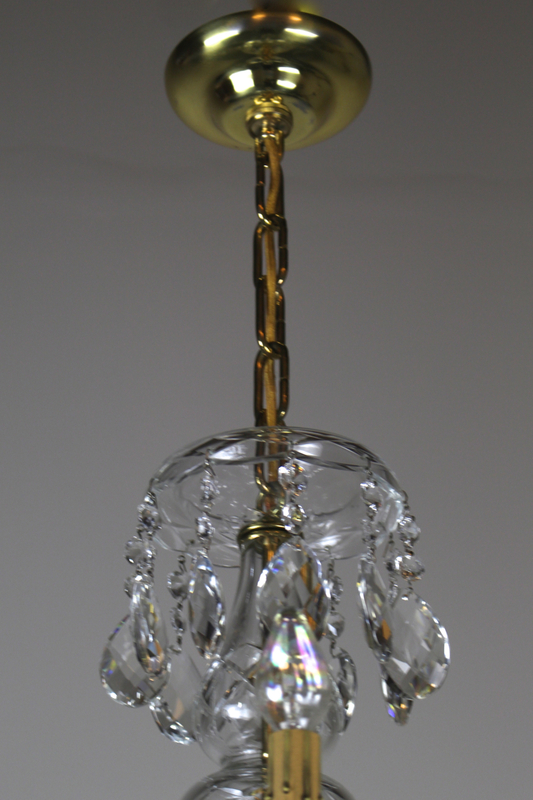 Though not terribly large, this light has great presence and is lovely quality. 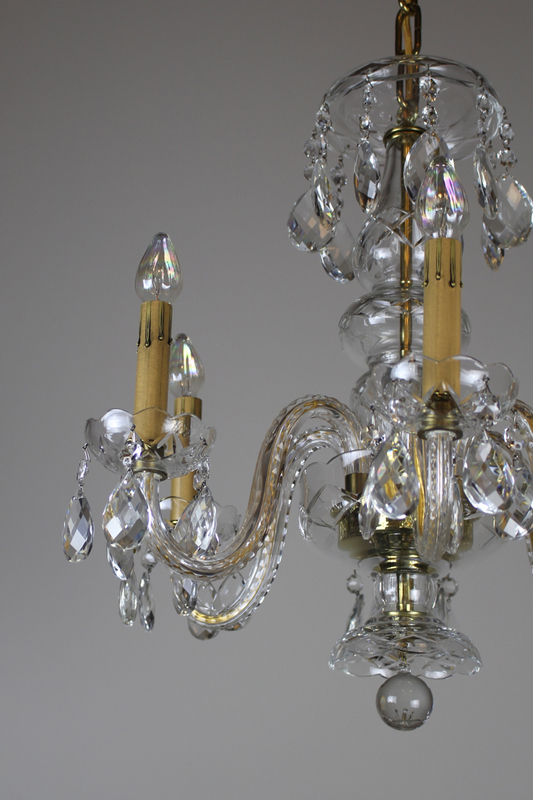 Made in the 1950s, in the Louis XVI style this fixture boasts a cut crystal body with six curved arms and candle fitters. 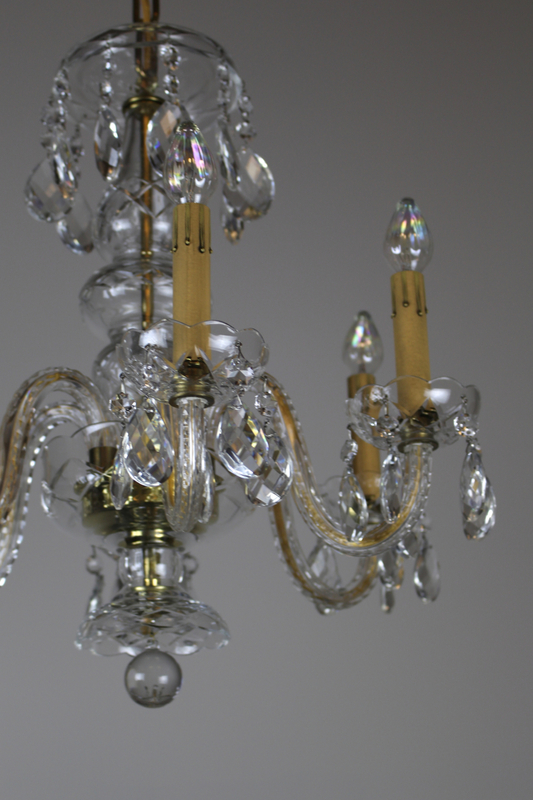 Cleaned, rewired, restored, and ready to hang. 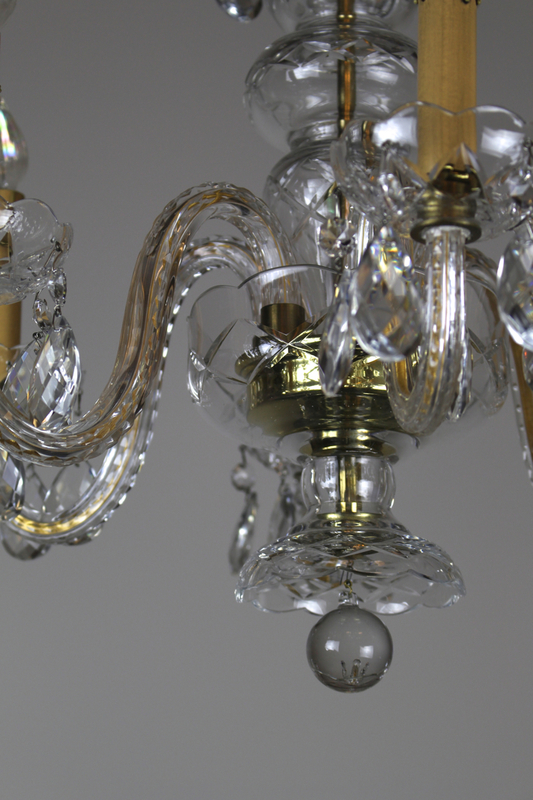 Tags: Crystal, italian. See more: Antique Ceiling Lights, Antique Chandeliers, Antique Lighting, Latest Antiques.